Dr. Laleh Merikhi is a graduate of Tehran Azad University. She completed her internship and residency in Internal Medicine as well as a Fellowship in Gastroenterology and Hepatology at Drexel University College of Medicine in Philadelphia. 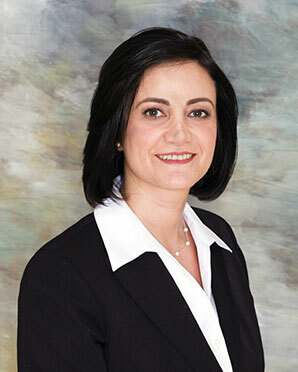 Dr. Merikhi is Board Certified in Internal Medicine and Gastroenterology. She is a member of ACG, ASGE and AGA. She has published several original research articles in peer-reviewed journals during her training. Dr. Merikhi’s special interests include Colorectal Cancer Screening, Celiac Disease, functional GI disorders, including IBS, Gastrointestinal motility disorders, specifically esophageal and ano-rectal disorders. She also focuses on digestive diseases specific to woman. In addition, to performing EGD, Colonoscopy, and Capsule Endoscopy, Dr. Merikhi performs Esophageal Manometry, Ano-rectal Manometry, biofeedback training and esophageal PH monitoring, including Bravo PH test.